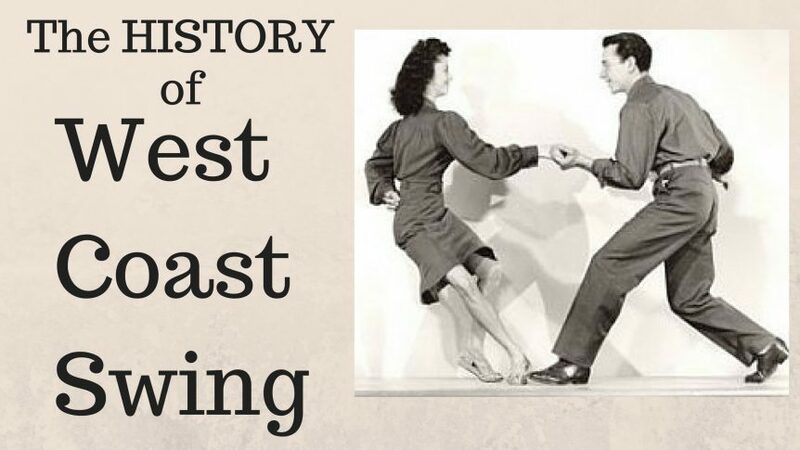 The topic of West Coast Swing history is a blurry one. WCS is a dance with roots growing out of the Lindy Hop. In the 1940’s there were hundreds of regional styles of swing dancing being done across the country. Rumor has it, Dean Collins, an influential swing dancer from the east coast, traveled too Hollywood get into the movie business. 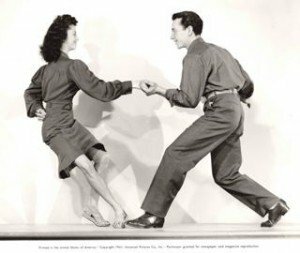 While there his style of dancing helped influence what would be come West Coast Swing. While Collins takes no credit for his influence of the style that later became known as Western Swing and ultimately West Coast Swing, he is undeniably linked to the history of west coast swing. In 1988 West Coast Swing became the official state dance of California. The WCS style has continued to be influenced over the years. Hustle, Country Western, Shag and now Zouk have helped shape the dance into what we know today. Although I make absolutely no claims to really know the history of West Coast Swing, I was able to track down someone who might. Forrest Outman of Tampa FL is an interesting guy. He is a professional dancer, but more importantly he is a rare dance historian. It is his passion to take painstaking care in researching the facts and documenting the history of social dancing. Forrest was nice enough to chat with me for an hour over Skype. I had never spoken to Forrest before this conversation so my questions about west coast swing and its history came up very organically. He gave us insights to his background as well as come great information on how west coast swing became the dance that we know today/ I really hope that you enjoy it as much as I did! I’m not a professional interview, just a dancer who was interested and had some questions. Fortunate for us, Forrest has some answers! You can see more of Forrest’s Dance History work on his website. Street Swing is my favorite website for west coast swing history in particular. Although my history expert Forrest isn’t convinced its a a very accurate page historically, I think you’ll find it pretty interesting. 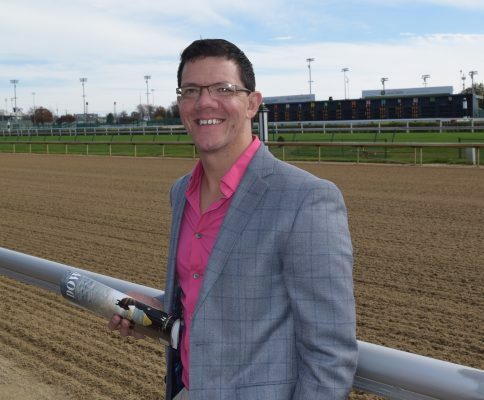 Thats me… Brian B at Churchill Downs (the home of the Kentucky Derby) in my home city of Louisville Kentucky USA! Brian Barakauskas is the founder of West Coast Swing Online. A UCWDC hall of fame member (2017) Over the last 20 years Brian had taught people in over 25 countries around the world. As the owner of Dance Louisville in Louisville KY for over 12 years, he has been one of the driving forces for WCS in the midwest of the United States. He is a sought after teacher and coach who has impacted prominent dancers across the globe. Connect with Brian on Facebook. I’ve got something for you…. Every week or so I share an awesome WCS tip, technique or pattern via email to thousands of dancers around the world. I’d love for you to get in on the action too. Just click the image below and let me know where to send you your first free video. Excellent first podcast! I’m still not clear on what Forrest was saying about the “coaster step” at about 23:00 in the video. Forrest seemed to be saying the original “coaster step” was what we call an anchor step today. Even his example appears that the follower would not move forward until the “1”. However, his explanation from the 1949 manual doesn’t seem to be saying that at all. The manual seemed to imply that a back-together-forward triple would be used for a smoother transition. This means the follower moves forward a step early (i.e. on the 6 of a sugar push) which breaks leverage and destroys stretch. This of course is NOT consistent with the “anchor” of today (i.e. two centers pulling away). And we know for a fact that at some point the back-together-forward was used in WCS at least by the ballroom community as it is still taught that way by many ballroom studios AND done that way in ballroom competition (thought even that’s changing). We can’t get hung up on terminologies which change with time and make it VERY difficult to interpret what people say or even what’s written in documentation. What I’m more interested in is the “movement” of say the follower in a sugar push. In 1949, did the follower step forward on the 6 or did the follower keep his/her center in leverage on 6? To me, when the follower’s back-together-forward at the end of the slot was eliminated in favor of an anchor (two centers pulling away), that marked a pivotal point in WCS because it presented new possibilities for leaders. As a side but related note: You have a video on your site where you teach an interesting technique where on the anchor we shouldn’t just let our heels go kerplunk but rather use the second half of the beat to roll down to the heel. That is probably the best pointer I’ve ever gotten in WCS. That not only allows for increased stretch but gives a smoother transition into the next move. So your pointer is consistent with today’s anchor but also helps achieve what the 1949 manual was suggesting. It’s a mechanics issue really. What you have to realize it that the dancers of that period did not dance in as light of a connection as we do in modern WCS. They would have dance the back together forward action smaller and under their bodies often with a slight swivel as well, it doesn’t really affect the connection when done properly. The problem of course when talking about history is that period mechanics and terms often don’t align with modern perceptions as the dance and terms have morphed. P.S. you’re correct about the rolling action usage in period dance…specifically pertaining to leads, in fact it wouldn’t at all be uncommon to roll off the driving back into the one. The term “Coaster” was actually not a step pattern it was what you might think of as an anchor today, but actually reversed. Dancers in breakaway position (i.e. dancing in front of one another with a single hand hold) would begin with the triplet to get “Coasting”. Frankie Manning would usually do this as well with a “stomp off”. Good questions…I hope I was able to clear that up for you. Not sure about the complete description of the coaster step that was presented, because I only listened to the segment at around 23:00. The coaster step my followers danced in the early 1960s was like this: After the follower stepped back during a sugar push ( now of course called a push break), she would rotate right 90 degrees (perpendicular to the slot) and “coast” at the end of the slot with leverage using a back-together-forward movement. Then she would rotate back facing the leader and come forward. Hope that helps! As for ballroom dance followers who would dance a back-together-forward while facing the leader on what now would be considered counts 5&6 of a push break, according to Skippy Blair that occurred because of a mistake that occurred when the “coaster” step was written into the Arthur Murray syllabus. Street dancers (who learned in the clubs by watching and sharing ideas with one another), always knew Arthur Murray followers, because they would come forward early and break the connection. Wow thats a great compliment! Thanks so much. I’m really happy it was helpful. Thats the entire goal of this website…just to help people find little bits to help their dancing. As my understanding the ‘coaster step’ was just one of the patterns that people used on the last triple and the ‘anchor’ as we know it, is really a concept not a step or set of steps. Maybe read more on Skippy Blair’s blog http://skippyblair.blogspot.com or hit up Forrest online and ask more. Although I appreciate the interest in the history of WCS, I do have to say that Dean Collins had nothing to do with it. It’s just as easy to link Frankie Manning or “Shorty” Snowden to it as well. Dean was a Lindy dancer and was so til his dying day. His style was akin to other styles in New York and New Jersey at the time. The style we relate to Dean was really solidified when he teamed up with Jewel (who was a Swing dancer before her partnership with Dean, which today is known as Bal-Swing). Her style was essentially opposite of what WCS is. In fact, and no offense to anyone, Dean never liked WCS (putting it mildly). If you have any further comments or questions I’d be happy to hear them. I would say that all three had something to do with it indirectly…by no means intentionally or even halfway close to today’s WCS. WCS to is a highly evolved form, but Western Swing to Sophisticated or WCS (simple term adoption) to the innovations from the Hustle era then country circuit and later urban dance, latin, and contemporary forms is a long stretch till now with many changes along the way. I agree Dean liked the period form of his era, but he certainly played a hand in the regional movement bias that slowly smoothed out to eventually become WCS. I just don’t think we should compare large gaps of time, but rather the slow and steady small changes which truly comprise the evolutionary process. Heck Nick, you’ve played a key role in evolution of contemporary Bal-Swing in your career already. Thanks for bringing Forrest’s research and historical reference to a wider audience! Very unique! I had to laugh at the remark about bringing us more than just ‘historical’ info we share from each other’s websites, until it becomes urban legend. So true! Thanks for adding so much more! If Forrest is going to challenge the accuracy of another, self-appointed historian’s account (Sonny Watson), then he should state the specific challenges and attempt to resolve those with that other historian.